Daily Prompt: Through the Window – EXPLORE . ADVENTURE . DISCOVER . As I looked out the window on a chilly Tuesday night, I saw the city lights that glimmer and brightens up the sky. I saw the freeway still busy with people either coming home from working late or just going to work for some. I saw the beautiful bridge with its mesmerizing lights that adds beauty to the bay. 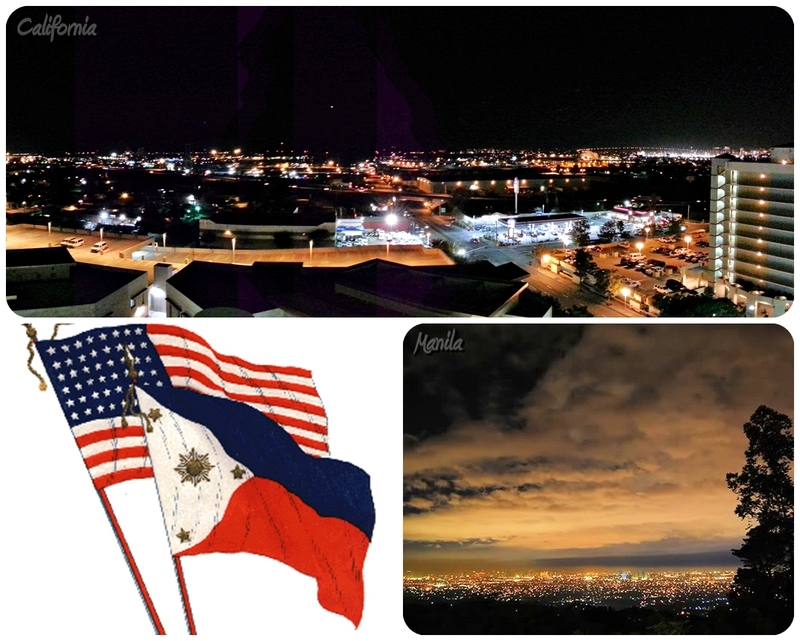 Seeing the city lights also reminded me of my homeland, Philippines, where the city almost never sleeps. No matter how late it is in the night, you’ll see many people still out in the streets hailing a cab, bus or a jeepney; exhausted from work or school but still manages to put on a smile while patiently waiting to get home. Traffic isn’t usually that bad at night but people are so used to the traffic that it has become a norm. Seeing the city lights at night not only reminded me of my homeland but it also reminded me of the things I used to do when I lived there and most specially, it reminded me of loved ones that I miss dearly. How I wish I could just get in the car and drive to where they are but although they may be far, they will always be close to my ♥heart♥. Above: from yours truly captured with my trusted SG3 mobile phone.